Many companies that require employees to run errands, complete deliveries, or take weekend trips often find that it's also tough to focus when you're outside of the office. 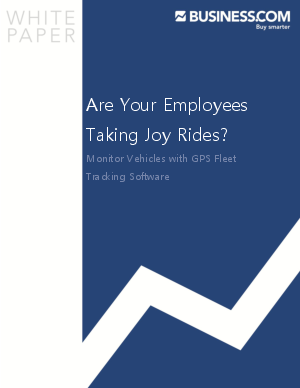 In other words, you can never be too sure what your employees are doing in your company vehicles during work hours. Fortunately, this worry can be easily put to rest by implementing a GPS vehicle tracking system. GPS (Global Positioning System) software allows a company manager to know where a company vehicle is at all times by working with satellites. According to the U.S. Department of Defense, there are currently 24 satellites orbiting the Earth that transmit signals to your GPS fleet tracking software here on the ground. The vehicle tracking GPS system will receive signals from these satellites; thus calculating the exact distance the device moved.